According to a recent customer survey by Vitria, executives across the consumer, enterprise, and industrial sectors see enormous opportunity with real-time Big Data analytics to drive business outcomes for their Internet of Things (IoT) initiatives. In many cases, executives are already deploying or planning to deploy first-generation real-time analytics for IoT within the next 12 months. 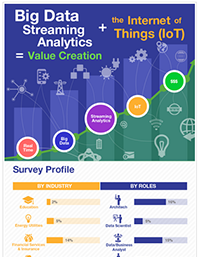 The vast majority of executives see real-time analytics as a core investment strategy and as a top IoT initiative for their organizations. Maintenance and monitoring are top business needs. Real-time analytics for IoT projects is becoming mainstream while IoT analytics is becoming a strategic area for investments. 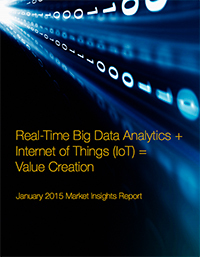 Real-Time Streaming Analytics and Predictive Analytics is emerging as a key IoT initiative. See the infographics and get the detailed report.